We are currently hiring police officers. Download a job description and application packet below or pick them up in person at the Police Department - 945 Senoia Road. Application packets and waivers may be scanned and submitted via email to pdjobs@tyrone.org or to 945 Senoia Road, Tyrone, GA 30290 in person or via regular mail. If you would like to learn more about becoming a police officer in Georgia or find out what our hiring process consists of, please visit our Frequently Asked Questions (FAQ) section. 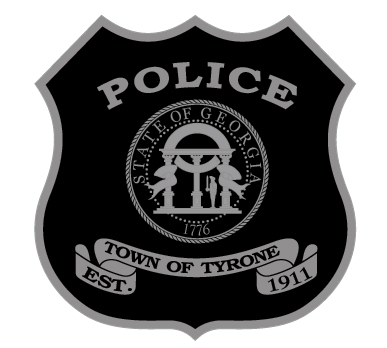 The Town of Tyrone is accepting applications for certified police officers. Applications MUST be submitted to: 945 Senoia Road, Tyrone, GA 30290.